For a Limited Time Only! 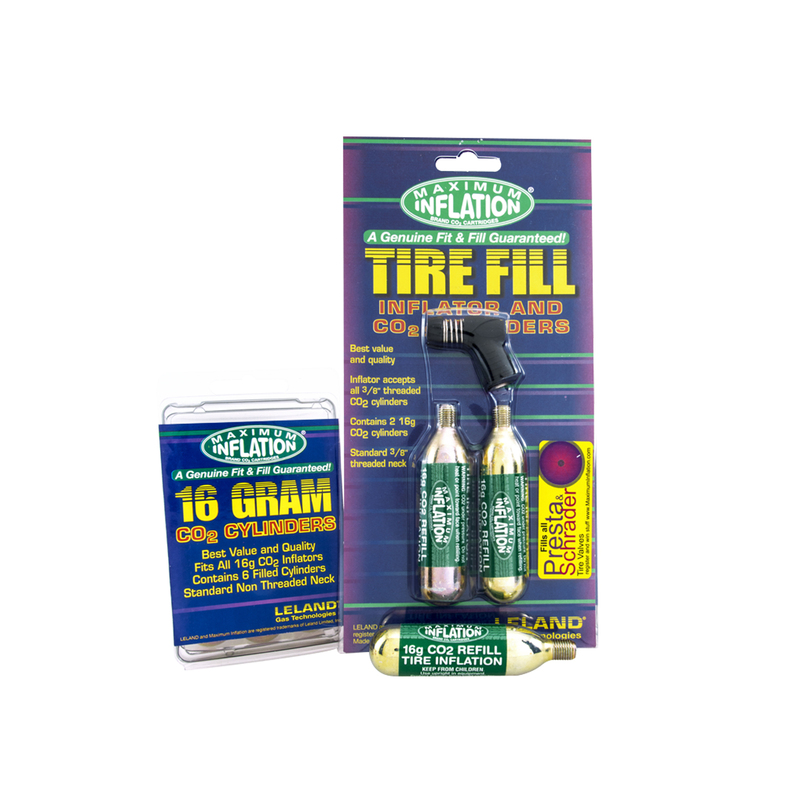 Get 1 Tire Filling Kit + 5 replacement cartridges of CO2. A $33.95 Value for $25. Gas and go in seconds. Screw in the CO2 cartridge, position the tire filling valve upright and push the Tire Fill. Comes with 7 16g CO2 cartridges. Most orders will ship the next business day, provided the product ordered is in stock. Orders are not processed or shipped on Saturday or Sunday, except by prior arrangement.We cannot guarantee when an order will arrive. Consider any shipping or transit time offered to you by this site or other parties only as an estimate. We encourage you to order in a timely fashion to avoid delays caused by shipping or product availability. On occasion, this may cause a slight delay in processing your order. Your patience is greatly appreciated. Orders placed during weekends, special promotions (Black Friday/Cyber Monday) and holidays may take additional processing time due to increased order volume. Please allow 2-3 extra days for order processing. Standard shipping guaranteed 2-7 business days. We will gladly accept the return of products that are defective due to defects in manufacturing and/or workmanship, for a full refund or replacement. Simply email us and we will provide you with a return label, so exchanges and returns are on us! We offer store credit or exchange within 14 days of receiving your order. We request that all goods are returned within 14 days of the date of you have received your return authorization number by us.Note: Any return item received by us outside of the 14-day return policy will not be accepted. Once receive at Leland returns department, this returned item will be automatically shipped back to you. Fulfillment mistakes resulting in the shipment of incorrect products to you will also be accepted for return.